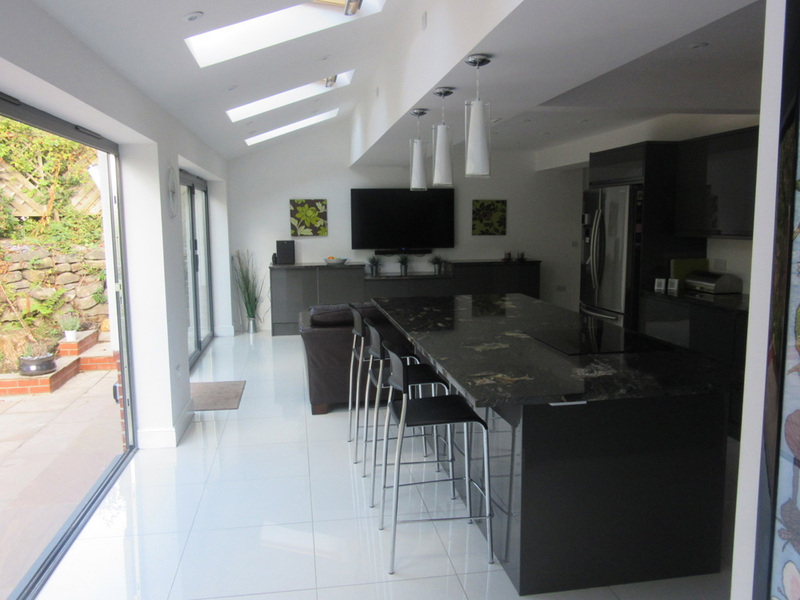 We were appointed on this project to create en-suites to the two existing main bedrooms in this four bedroom detached family home in Sheffield, together with extending and reconfiguring the existing house to create a large dining kitchen to the rear and a more appropriately sized and proportioned lounge. We also highlighted the lack of a clear main entrance to the house which had a number of front doors but no obvious place for visitors to go first. Brightman Clarke Architects created a subtle two storey extension to the side that blends with the existing and enhances the character and charm of the existing property. Decorative additions, such as the pitched dormer windows and a new porch, add balance to the front of the home whilst bi-folding doors and roof lights add an element of modern architectural detailing to the back of the home and allow it to be completely opened up to the rear garden.